It’s more apparent than ever how social media is a core aspect of our society. People around the world spend more time communicating through social media platforms than talking on the phone or constructing emails. They access their accounts and stay connected through every device imaginable, ranging from desktops and laptops to tablets and mobile phones. Social media platforms are used by people in every walk of life. Middle-aged adults use them to stay in touch with old high school and college buddies. Businesses use them to advertise their products and services, as well as connect with their most loyal customers. Teenagers use them to hang out with their BFFs. Proud parents use them to show off their children. The list can go on. With such a wide range of users, it is no wonder social media networks watch membership numbers climb every day. Coming out of the extensive use of these platforms are some interesting statistics, provided by various sources around the Internet. These statistics may very well have implications for where social media is heading in 2015 and beyond. I have found some of these very interesting so I am sharing them with you. Fact: 30 percent of all traffic from social media comes directly from SlideShare.net. LinkedIn acquired SlideShare for $119 million. Implication: As a business network, LinkedIn exploded in the market in 2013. 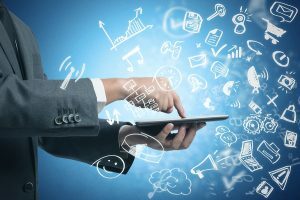 More businesses are relying on social media platforms to connect with their customers and network with other businesses. This will likely continue with increased marketing strategies tied to social media. 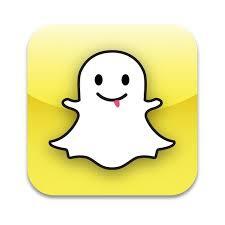 Fact: Google and Facebook both offered to acquire Snapchat. Both offers of up to $4 billion were turned down. Implication: The owners of Snapchat realize that their sharing platform, which saw a huge number of new members during the year, had more potential and return on investment. They were not ready to let someone else reap the benefits of their video-sharing app. This trend of using social media to share images and videos will not wane in future years, but only get stronger. Fact: There are more than 35 million “selfies” posted to Instagram. Implication: That reverse camera on many smartphones has made it easier for people to post “selfies.” People are eager to share pictures that document where they are and whom they are with at all times. The trend of sharing pictures will continue as long as people are snapping pictures with their smartphones. Fact: Although only 10% of brands market on Pinterest, 41% of traffic referred to e-commerce sites comes from the photo bulletin board. Facebook, in comparison, only sends 37% of the referrals to e-commerce sites. Implication: People are still driven by visuals that are organized in some fashion. Although the percentage is not that different, more people appreciate that Pinterest has suggestions organized in an easy-to-access manner. Facebook marketing ads are willy-nilly and show up in chronological order of publication rather than in organized categories. Consumers also like to conduct research and see what others have to say before committing to any purchases themselves. This trend will continue. 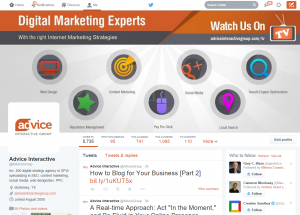 Fact: There are roughly 231.7 million active Twitter users each month. They spend an average of 170 minutes tweeting or reading tweets. Roughly half the people tweet and the remainder only read tweets. Implication: People are continuing to rely on Twitter to share quick bits of information, but they are also relying on the social media platform to research and find out what others are saying. With the use of hash tags, it is very easy for people to find what they need on Twitter. This trend will continue into 2014 as people continue to want to share information instantly and retrieve information quickly. Fact: 95% of registered Facebook users log into their accounts on a daily basis. Of the time spent online, 15.8% of it is spent on Facebook. Implications: In 2013, people are still largely dependent on Facebook to stay connected with one another. People feel the need to connect with friends, family members and business associates. In fact, people are sooner turning to Facebook to spread news than any other medium. It is the fastest way to get a little bit of information a long way. This trend will continue in 2014 as more businesses come on board to find their customers as well. Fact: Every second, eight new Google+ users join the network. In 2013, Google+ added 25,000 users each day. Implication: As a newer networking platform, designed for businesses to network in a style similar to Facebook, Google+ has grown tremendously over the last year. It is extremely convenient for those using Google’s other tools to support their businesses. With the continued interest from businesses to step up their online social media presence, Google+ proves to hold solid and will likely continue to grow in 2014 and beyond. Fact: 40% of LinkedIn’s 259 million members pay for premium services. Implication: People working predominantly in the business sector feel it is worth it to pay for services on a social media networking platform. The extra services provided through LinkedIn help people connect at deeper levels. Many businesses use LinkedIn to find employees and likewise, many people find jobs on the network. If 40% of the members are paying for premium services, the network is not going away any time soon. LinkedIn will likely continue strong as businesses use it as a way to build human resources. Fact: A branded Vine video is four times more likely to be seen than a regular branded video. Implication: Twitter’s video app continues to provide people with a way to post short videos that can be shared when embedded in such social media networks as Facebook and Twitter. The instant gratification provided through this mobile app keeps users coming back for more. Businesses are able to use the platform to share their specials and connect with their consumers as well. Vine is to video as Instagram is to still images. As long as people continue to have the urge to share what they’re doing each instance of their lives, Vine will keep going strong in 2014 and beyond. Fact: People prefer infographics four times more than presentations and 23 times more than documents on SlideShare. Implication: We live in a visual world where people prefer to read graphics and numbers to gain information rather than text and narrative. Colored visuals are much preferred than even regular bar and line graphs. With a visual population that wants information now, sharing information in infographic format will continue to increase in 2014. They are easy ways to share statistical information on social media networks. Fact: L.L. 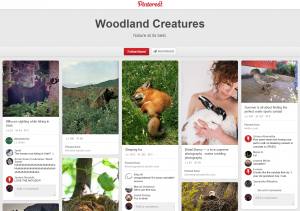 Bean’s Woodland Creatures is the most followed board on Pinterest with 4,689,706 followers. Implication: People love animals. We love to see fuzzy fluffy animals. There’s just something so appealing about a cute cuddly animal. There are no indications this practice will die down any time soon. It is interesting, but not surprising, to note that social media use continues to grow. More and more people are using the various platforms to connect and network with one another. It is more important than ever before for businesses to build their presences and connect with their clients online. With more people carrying smartphones and the ease of access, staying in touch through social media will only continue. Social media: It is live. It is present. It is here to stay. Have an interesting fact to add? Let’s hear it!